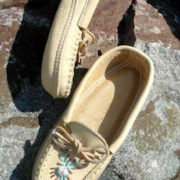 If you are looking for moccasins made of wild leather, these are perfect. 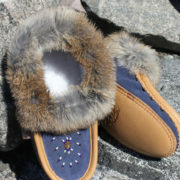 The caribou hide outer and smooth leather inner lining make for especially comfortable moccasins. 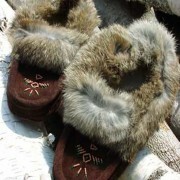 An extra layer of caribou on the sole adds durability. 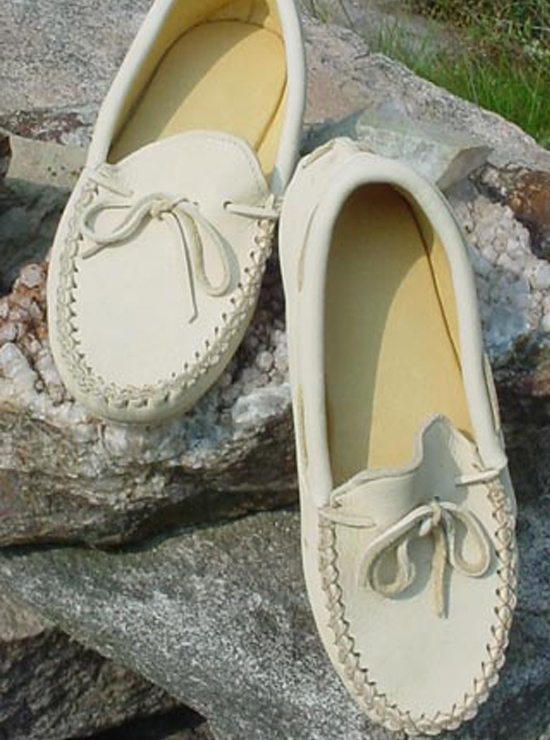 These are cut slightly wider than the average moccasin and lace for a perfect fit. 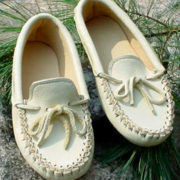 Recommended for indoor and limited outdoor wear only.